This stylish chest provides you with ample space for all your storage needs, with four large drawers and 2 smaller drawers featuring a traditional, rustic finish. Solidly made with dovetail jointed drawers and tongue and groove backs and bases, the Rustic 4+2 chest is spacious and charming. 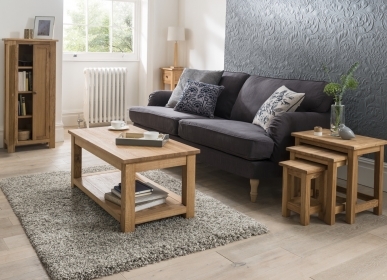 Made from hard-wearing, high quality American White Oak, the 4+2 chest has elegant metal handles.